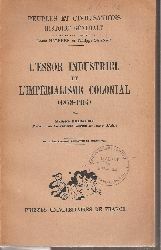 Baumont, Maurice: L'essor industriel et l'imperialisme colonial (1878 - 1904). Par Maurice Baumont. (= Peuples et civilisations. Histoire generale 18). 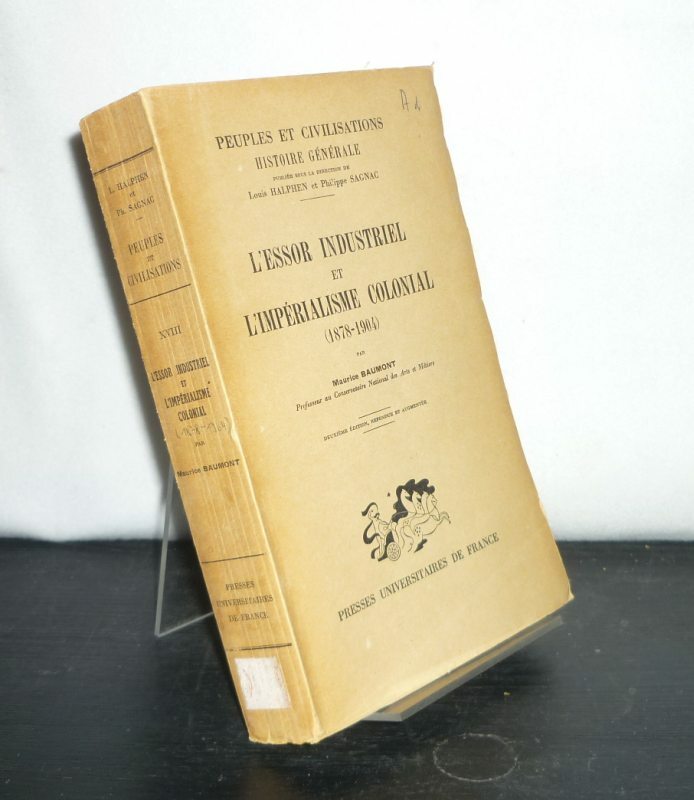 Deuxieme edition, refondue et augmentee. Paris: Presses Universitaires de France 1949. 628 Seiten. Gr. 8ºAntikbuch24-SchnellhilfeOktav = Höhe des Buchrücken 18,5-22,5 cm (22,5-25 cm). Orig.-Kartonage. [Softcover / Paperback]. Ex-library copy with usual marks (signature on spine, stamps / inventory marks on a few pages). - Cover browned/with light edge. Previous owner's stamp on pre-title. - Good copy. Lefebvre, Georges / Pouthas, Charles H. / Baumont, Maurice Histoire de la France pour tous les Francais. Tome second: De 1774 a nos Jours. o.O. Hachette 1950 8ºAntikbuch24-SchnellhilfeOktav = Höhe des Buchrücken 18,5-22,5 cm, 512 S., kart.Antikbuch24-Schnellhilfekart. = kartoniert, leichte Gebrauchsspuren.